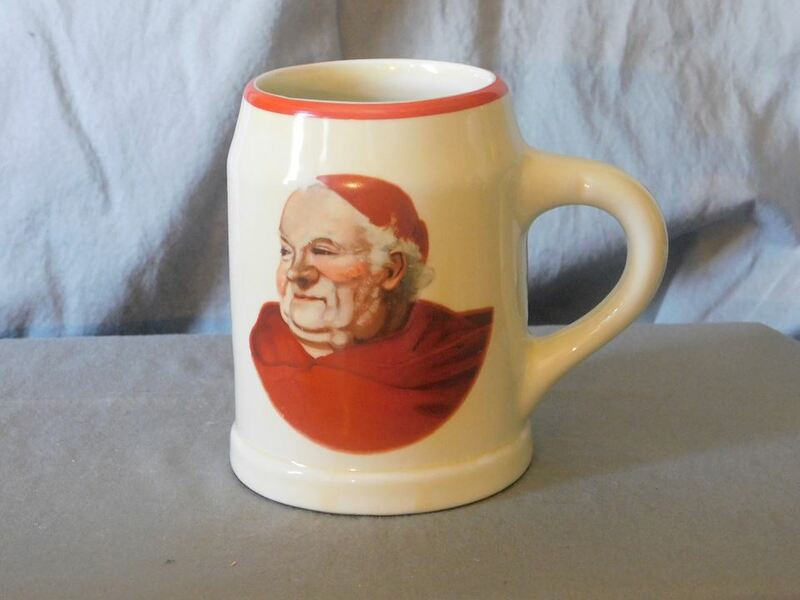 Hall Monk 10 ounce Mug. Hall label on bottom Made in USA. Four and one half inches Tall by five and one half inches from edge to handle. Details are fantastic like new.